ESPN’s NBA Countdown is headed back to the West Coast. The network’s flagship NBA studio show is returning to ESPN’s Los Angeles Production Center for its upcoming season. The change is in line with ESPN’s new NBA post-game show NBA After The Buzzer, which will feature the NBA Countdown broadcast team. The return of NBA Countdown to its Los Angeles studio marks the first time since the 2010-2011 season that it has aired from the West Coast. It moved to the East Coast in the 2011-’12 season and has been there ever since. Along with the announcement of the show’s move back to Los Angeles, ESPN also announced that Michelle Beadle will leave her job as host of ESPN’s weekday morning show Get Up! and will expand her role in ESPN’s NBA coverage. Her last appearance on Get Up! will be August 29. 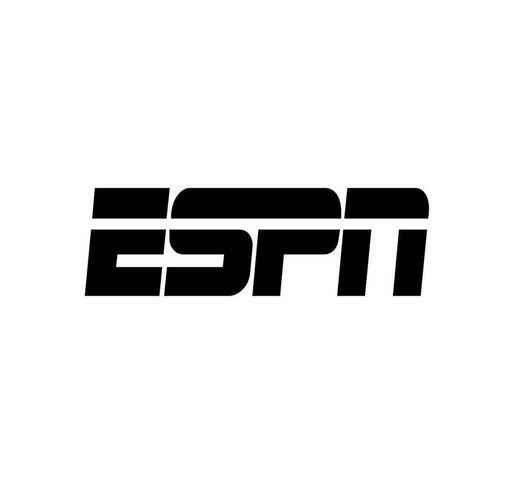 Connor Schell, ESPN Executive Vice President of Content, said he was optimistic about the changes coming to ESPN’s NBA coverage, including the extension of Beadle’s contract and the expansion of her role in the network’s NBA coverage. 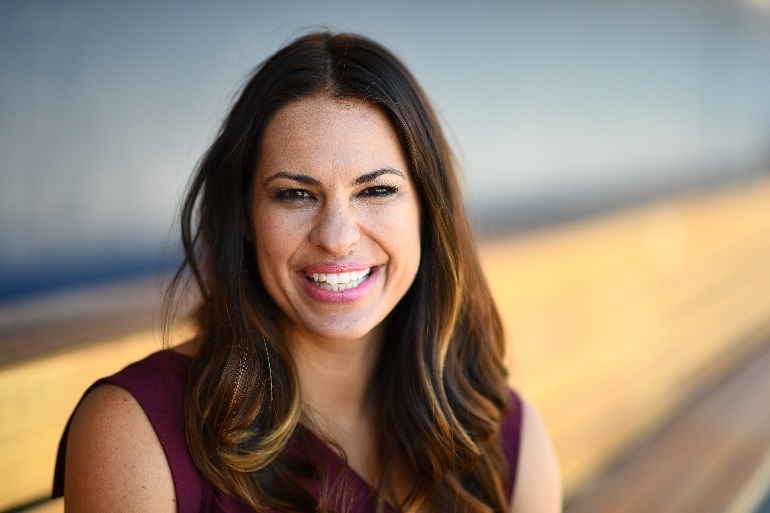 As an added bonus for audiences, the increased interest in the NBA noted by Schell has also led ESPN officials to expand The Jump, ESPN’s daily Los Angeles-based NBA studio show hosted by Rachel Nichols, to a full one-hour format. Other changes that are being made at ESPN, partly due to the network’s changes in its NBA coverage include the expansion of Get Up! to a two-hour show starting Sept. 3. Starting on that day, it will air from 8 a.m. – 10 a.m. ET. Mike Greenberg will still host the show and Jalen Rose will also stay on as co-host on days when he does not have to appear on NBA Countdown. Maria Taylor, Laura Rutledge, Diana Russini and Jen Lada — each of whom has served as guest host on Get Up! — will all continue to serve as contributors to the program. During football season, ESPN’s NFL and college football commentators will appear on Get Up! in its expanded time slot. That list of talent includes: Ryan Clark, Victor Cruz, Paul Finebaum, Dan Orlovsky, Jesse Palmer, Louis Riddick, Rex Ryan, Adam Schefter, Marcus Spears, Jonathan Vilma and Damien Woody. One more change coming to the ESPN networks involves ESPN Radio’s Golic & Wingo. Along with continuing on ESPN Radio, it will be simulcast on ESPN2 and ESPNEWS from 6 a.m. – 8 a.m. before moving solely to ESPNEWS from 8 a.m. – 10 a.m. This move is also set to happen on Sept. 3. By connection, SportsCenter will continue to air on ESPN2 from 8 a.m. – 10 a.m. The National Football League will announce the schedule for its 2018-’19 season tonight, and in anticipation of the announcement, ESPN will air a special two-hour edition of SportsCenter tonight. SportsCenter Special: 2018 NFL Schedule Release will air tonight starting at 8 p.m. ET. the program will be simulcast live on the ESPN App. Trey Wingo will anchor tonight’s broadcast, and will be joined by analyst Darren Woodson and ESPN NFL Insiders Louis Riddick and Adam Schefter for additional commentary. Due to tonight’s special broadcast, SportsCenter Special: Mel & Todd’s Mock Draft has been moved from its original time slot tonight to 6:30 p.m. Friday on ESPN2. Wendi Nix will anchor that broadcast. Riddick and Schefter will both appear during the broadcast, too. Just last week, ESPN announced its 2018-’19 NFL pre-season broadcast schedule, which begins the New York Jets on the road against the Washington Redskins August 16 at 8 p.m. on ESPN. It will also broadcast the Ravens at the Colts August 20 at 8 p.m. on ESPN. Both games will be simulcast in Spanish on ESPN Deportes. To keep up with the latest sports and entertainment news and entertainment, go online to http://www.facebook.com/philspicks and “Like” it. Fans can always keep up with the latest sports and entertainment news and reviews in the Phil’s Picks blog at https://philspicks.wordpress.com. ESPN personality Marty Smith is getting his own monthly show. The veteran reporter’s new program SportsCenter Presents: Marty Smith’s America will launch Wednesday, Aug. 2 on ESPN2. The hourlong program will see Smith conducting interviews with notable sports newsmakers each week. Smith said of the program that it stemmed from Smith’s desire to profile people and their stories more. The series’ debut episode will see Smith spending a day with Newton at a charity kick ball game in Charlotte, N.C. in “Kicking It With Cam.” It will also see Smith join soccer superstar Cristiano Ronaldo in China in “All Access with CR7 in China.” “The Trojan Horse,” also included in the series’ debut episode, follows Smith as he spends a day with USC quarterback and pre-season No. 1 overall draft pick Sam Darnold on the USC campus in L.A.
NBA star LeBron James is also profiled in the series’ debut episode, but not in his own words. Smith sits down with James’ best friend and business manager Maverick Carter in “The King Maker,” also included in Marty Smith’s America. As if all of the stories set for the series’ debut is not enough for audiences, former college football star and Major League Baseball hopeful Tim Teabow will serve as Smith’s co-host on the series’ premiere. ESPN has added a new big name to its college football coverage roster. Chip Kelly was named the latest addition this week to the network’s roster of college football analysts. Kelly, who has more than 30 years experience in college and professional football, will serve as a studio analyst for many of the network’s college football broadcasts. According to a press release from ESPN, Kelly will also appear on Friday and Sunday editions of SportsCenter to offer insight on college and NFL matchups. Lee Fitting, ESPN Senior Coordinating Producer, called Kelly’s outside the box approach as a coach one of his major strong points while discussing his addition to the network’s on-air football roster. Kelly said in response, he intended to use that unconventional approach when he begins his time with the network, adding he is anticipating starting the next chapter of his football career with ESPN. From 2009 – 12, Kelly served as head coach of the University of Oregon’s football team, compiling a record of 46 – 7. That record included wins in the Rose Bowl and Fiesta Bowl, and a trip to the College Football National Championship. In 2009 and ’10, he led the Ducks to the Pac-10 title. He also led the team to the Pac-12 title. His time at the helm in Oregon is only one part a 24-year college football career. Before taking the helm at Oregon, he also spent two years as the team’s offensive coordinator. He spent the past four seasons in the National Football League, including a stint at the helm of the Philadelphia Eagles. While leading the Eagles, Kelly led the team to a 10 – 6 record and led the team to the NFC East title. Kelly’s own accolades include Pac-10 Coach of the year in 2009. He earned four separate coach of the year awards in 2010 including the Associated Press Coach of the Year award. Kelly will start his on-air college football career with ESPN with the start of this year’s college football season. ESPN added a big name to its NFL broadcast team Monday. Former New York Jets and Buffalo Bills coach Rex Ryan was announced as the newest addition ESPN’s Sunday NFL Countdown broadcast team Monday. Ryan will make his debut as a full-time member of ESPN’s roster this Saturday, April 8 at 3 p.m. ET as he calls Florida State University’s spring game in Tallahassee, Fla. While his addition is the latest to ESPN’s NFL broadcast ranks, Ryan is no stranger to ESPN as an on-air figure. He served as a guest analyst for ESPN during the network’s Postseason NFL Countdown on Super Bowl Sunday in Houston in February. 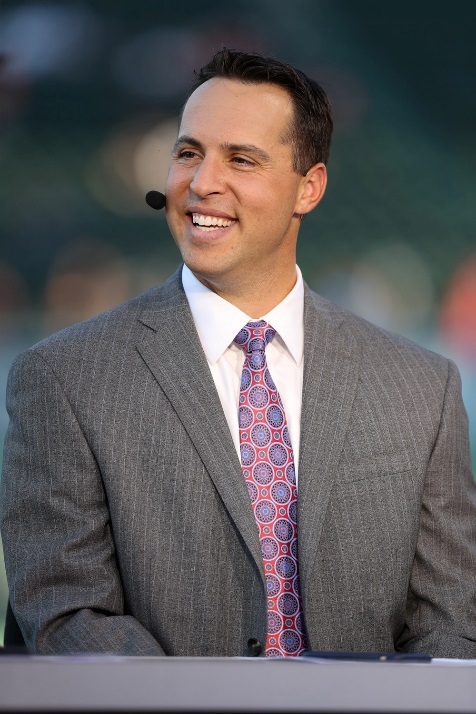 Seth Markman, senior coordinating producer for ESPN’s NFL studio shows, said Ryan’s matter-of-fact personality and his knowledge of the game made him a good fit for the network’s NFL studio shows. Ryan was upbeat as he discussed making the next move in his career. Ryan’s most recent NFL credentials include coaching the Buffalo Bills during the 2015 and 2016 seasons. Before that, he served as head coach of the New York Jets from 2009 – 2014. He led the Jets to back-to-back AFC Championship appearances during his tenure in New York. He spent nine seasons as an NFL assistant with the Baltimore Ravens, winning a Super Bowl Championship with the team at Super Bowl XXXV. From 2005 – ’08, he served as the team’s defensive coordinator. The son of legendary NFL coach Buddy Ryan, Rex was also honored in 2006 as the Assistant Coach of the Year by Pro Football Weekly magazine and the Pro Football Writers Association. Along with his appearances on Sunday NFL Countdown, Ryan will also contribute to ESPN’s flagship news program SportsCenter and on ESPN Radio broadcasts and more.